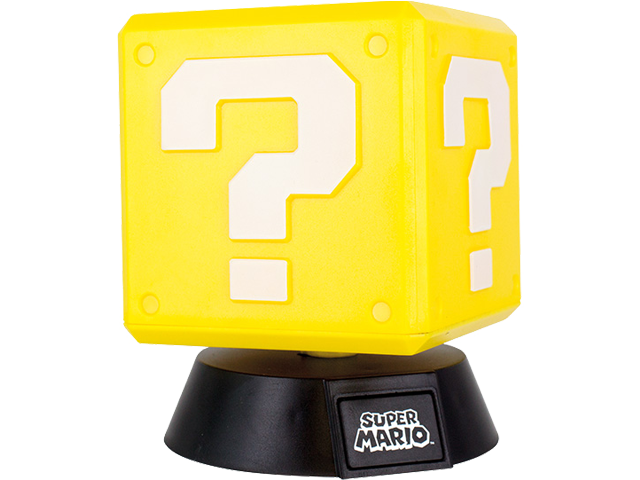 Power-up your room with this Super Mario™ inspired Question Block Light! Designed like the iconic question block featured in the classic Super Mario series of video games, this distinctive night light is a perfect gift for any video game fan. With a pixilated design just like the original 2D games, the Question Block Light even features the official classic sounds from the game. The light is dual powered by either USB or batteries (batteries not included). A USB micro cable and full instruction leaflet are included with the product. The light has a touch on/off feature, so simply press down on the Question Block to activate.